Want to turn on Blue light filter on Samsung galaxy S10 One UI? By default disable blue light filter in your device. Here’s how to enable blue light filter on Galaxy S10 using display settings. It will helpful to reduce eye strain, easily read in deem light & look at your screen and help you fall asleep more. You can automatically turn on blue light filter on S10 to set schedule time or sunset to sunrise in your device. For set sunset to sunrise, make sure enable location on your galaxy S10. 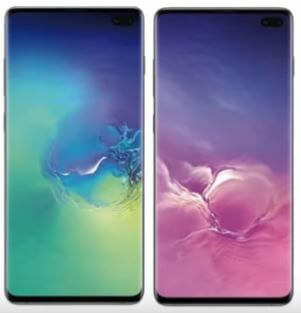 Follow below given two methods to enable Blue light filter on Galaxy S10 and S10 Plus. You can activate blue light filter on galaxy S10 using below given 2 methods that useful to easier to look screen without eye strain. Samsung galaxy S10 display settings includes adaptive brightness, Blue light filter, night mode, screen resolution, screen mode, font size & style, Navigation bar and more settings. By default disabled galaxy S10 Blue light filter. Now adjust opacity in your galaxy S10 to easily view screen even low light in your S10. Also see below given two options on your galaxy S10 blue light filter settings. Turn on this option to activate blue light filter on Samsung S10 and S10 plus One UI 1.1 devices. Here you can see two options, one is sunset to sunrise and custom schedule. Turn on toggle to automatically enable blue light filter on galaxy S10 plus at sunset to sunrise. Set schedule time for when you want to automatically turn on Blue light filter on galaxy S10 One UI 1.1 device. Enter start time and end time to automatically activate Blue light filter on S10. You can quickly turn on blue light filter on galaxy S10 using quick setting tiles in your devices. 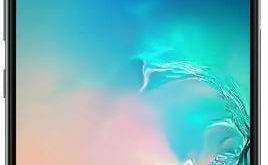 Now set blue light filter settings on Samsung S10 One UI 1.1 device. And that’s it. I hope this little tip useful to enable Blue light filter on Galaxy S10 One UI 1.1. If you have any kind of trouble, tell us in below comment box. Stay and connect with us for latest updates.